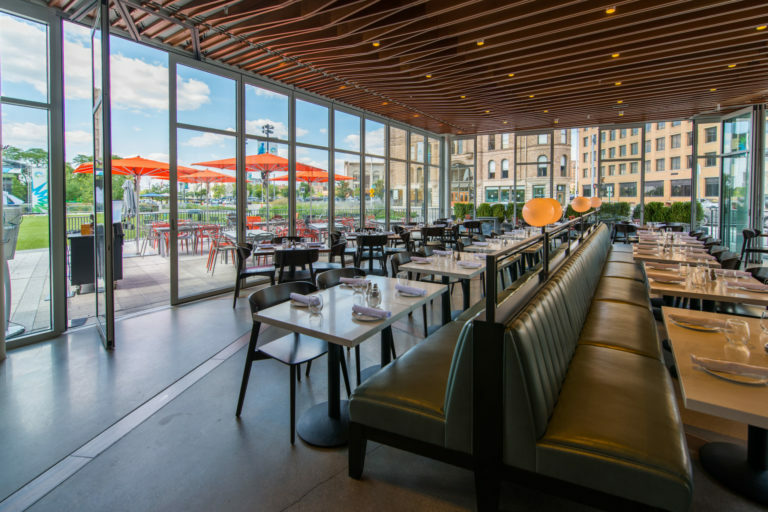 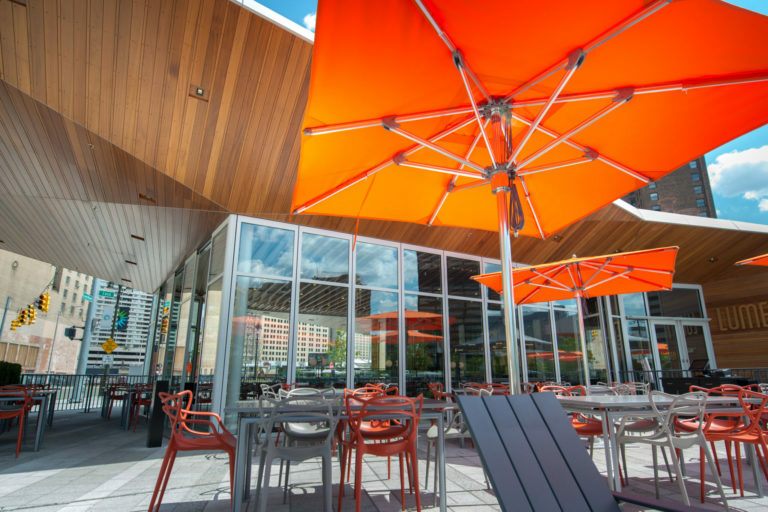 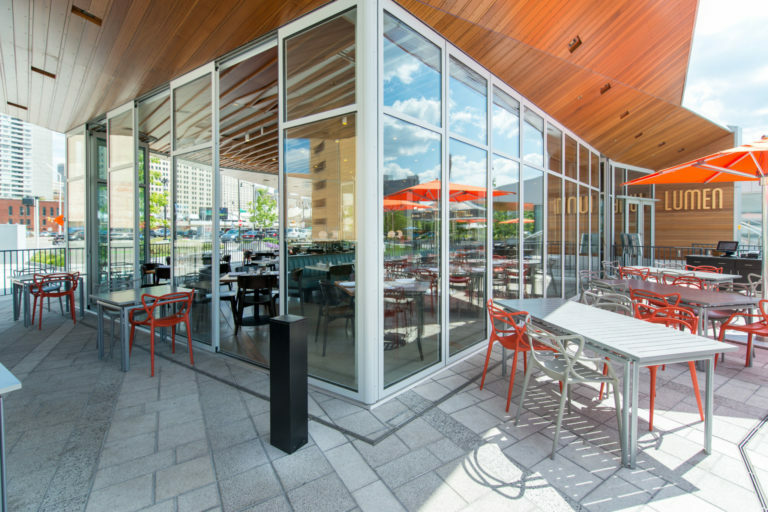 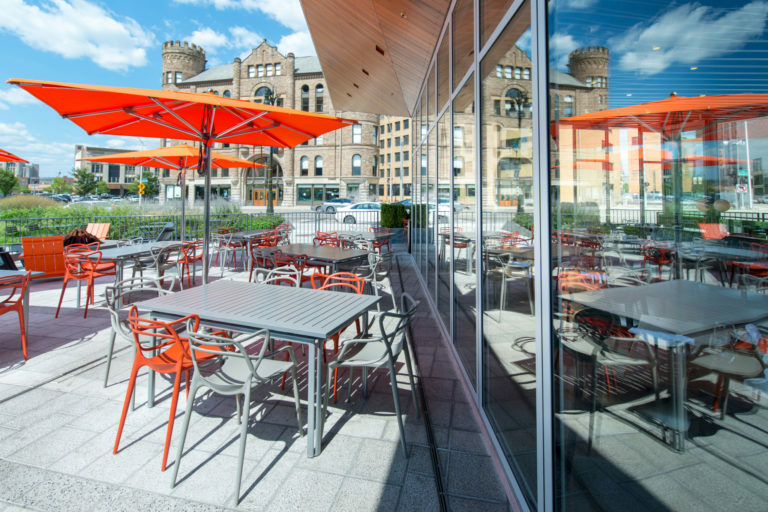 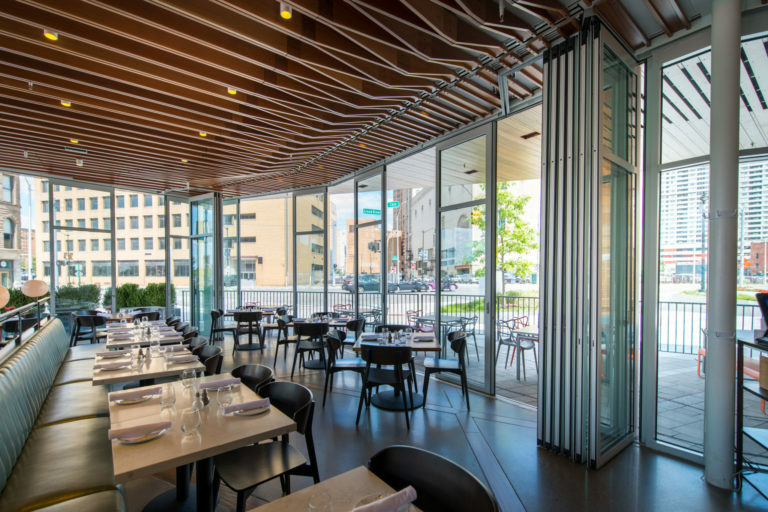 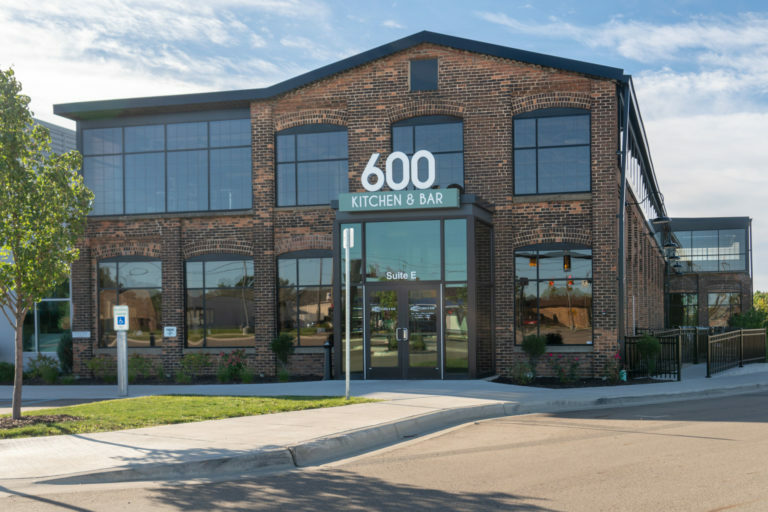 The Lumen restaurant in Detroit features a stunning folding glass wall systems. 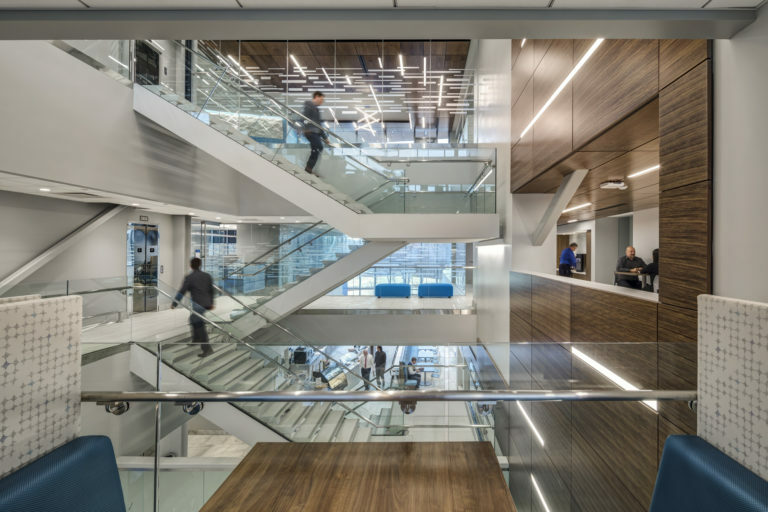 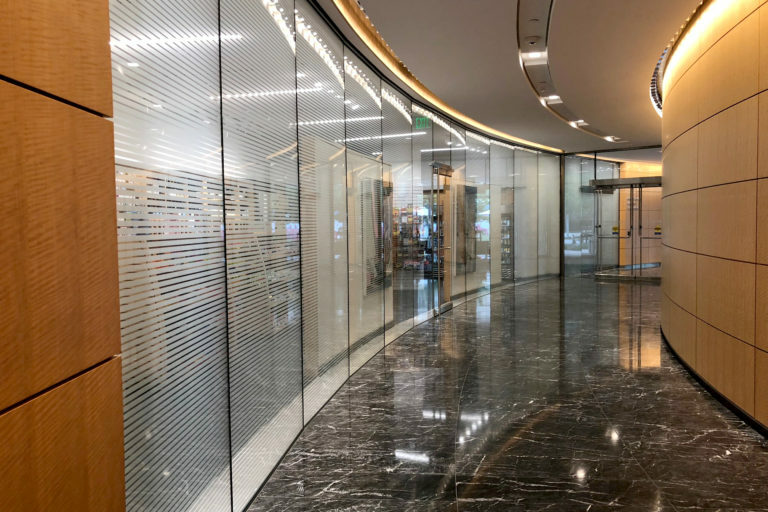 Glass + Mirror Craft’s large selection of high performance glass types was the perfect fit for this project. 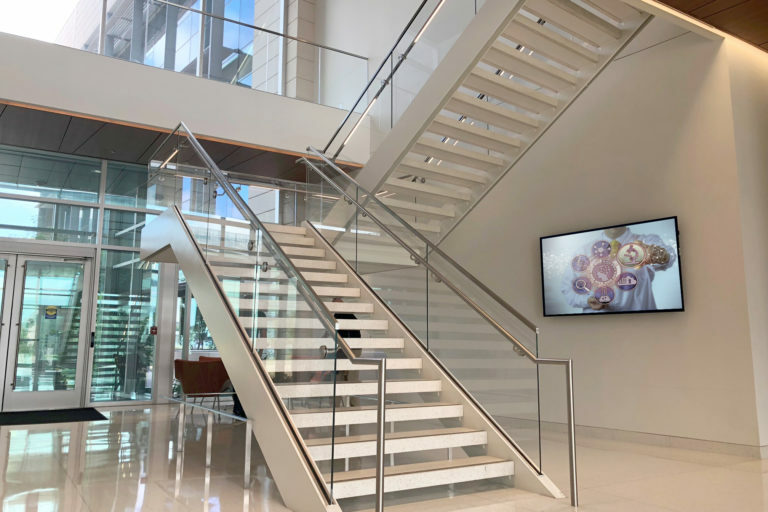 We combined N78/65 over clear tempered glass giving as a result clarity and a view that is breathtaking.